I guess these condoms are pricier than you might first agree. Thanks, Daneisha. I love that they are recycling a classic olde-schoole TYPEWRITER table as a condom dispenser, whether the condoms are "free" or not! 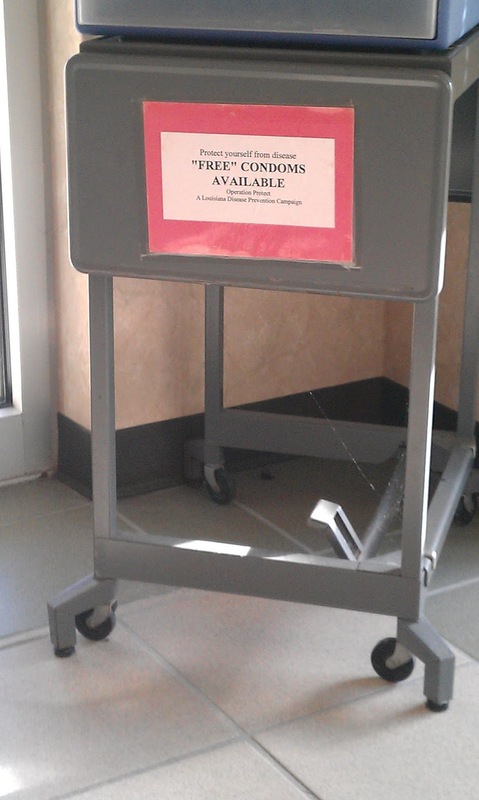 Some one probably objected to the "Free" part because as a tax payer, Their parent did pay something for the condoms.